Are you a passionate storyteller who’s ready to take your shooting to the next level? Go To Team is offering a unique opportunity to local and production cameramen and chief photographers as our next cameraman. This position is designed for video/digital format shooters (not still photographers…no offense) that want to gain the experience needed to shoot, run audio and light at the highest level. We have successfully run this apprenticeship for 15 years and all of our former apprentices are now full-time directors of photography or are on their way to becoming one for Go To Team. This position is initially based in Chicago, IL, and you will work regularly with our Go To Team cameraman, Matt Rossetti, for clients like NBC Sports, A. Smith, Assignment Desk, The Golf Channel and WWE. You will be working as a camera assist, running audio and lighting while learning every aspect of high-end video production. This position has a heavy travel schedule taking the crew outside of Chicago. At the end of the apprenticeship phase (8-12 months), we’ll move you into a full-time cameraman position, in your own city outside of Chicago, and build you to become a director of photography for us. If you want to live full time in Chicago, this position is not for you. We often work odd hours on short notice where some weeks are busier than others. Lots of driving and heavy travel are guaranteed. Our crews drive hundreds of miles before and after shooting on a regular basis. If you do not like to drive, this position is not for you. Experience in PA, audio and grip work are a plus. However, a solid reel and a hard working attitude are key. Requirements: Valid Drivers License, Passport, Dependable Vehicle, but most of all a strong desire to be the best. Working/Physical Conditions: Sits for long periods of time, stands, stoops, reaches, pushes and pulls. Federal Apprenticeship guidelines require at least a college degree or 2 years of work related experience. There is only one way to apply. Tell us a story with material that you’ve shot. While student films are interesting they’re not what we do on a daily basis. 98% of what we shoot is “make you care” pieces for major sports, news and entertainment companies. We need to see interviews and B-Roll. Color and time lapses are a plus, but put together one cohesive demo reel that tells us about you (stylistically) from behind the lens. This needs to be a unique reel to Go To Team meeting the requirements above. One hint… watch the reels on our website. 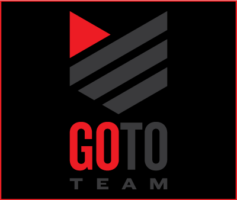 Email a downloadable link to your reel via vimeo or dropbox to Chicago_Apprentice@gototeam.com. Make sure to attach your cover letter and resume in the email. For updates on the hiring process, please follow our Facebook page.